Frankly, the science is settled. Global warming IS taking place. Human activity IS contributing to global warming. There ARE going to be consequences- many inconvenient ones. We need to act more strongly and more quickly than we are to mitigate change. We need to plan how to adapt to the changes that are already under way. 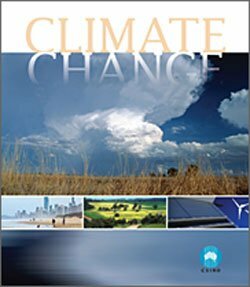 Global Warming and Climate Change, and the need to do something about them, were both accepted in their day by such well-known socialists as Ronald Reagan, Margaret Thatcher and John Howard. In a remarkably-successful disinformation campaign (partly by the same people who denied the link between smoking and health), the world is being diverted from the ever-mounting evidence of a truly momentous problem, and the need to do something about it. Our future depends on knowledge, and using it wisely, not on the foolishness of ideology and mendacity of vested interests. The eBook is free, but valuable. Please pass it on to others.